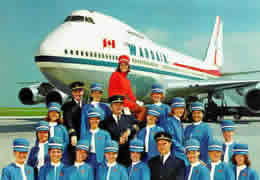 Flight attendants look after the safety and comfort of aircraft passengers and aircraft cabin crew. 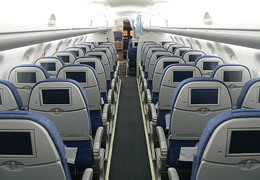 conduct pre-flight cabin checks, receive prepared meals, beverages and equipment. check boarding passes and direct passengers to seats. advise passengers of safety regulations. distribute reading material and serve meals and drinks. provide first aid treatment and assist sick passengers. anticipate and provide for the comfort of passengers needing special attention, including unaccompanied children, parents with infants, people with disabilities, elderly and non-English-speaking passengers. take action in the event of decompression, turbulence, mechanical malfunction, or unlawful acts by passengers. prepare for emergency landings and the evacuation of passengers. Flight attendants work in shifts which involve irregular hours, working weekends and public holidays, and spending time away from home. They work long hours in a pressurised cabin and must adjust to varying climatic conditions and different time zones. Uniforms are provided. friendly personality with excellent interpersonal and communication skills. reliable and enthusiastic team member. able to work under pressure and within tight time frames. able to adapt easily to an irregular lifestyle. able to satisfy height requirements. second language skills are an advantage.